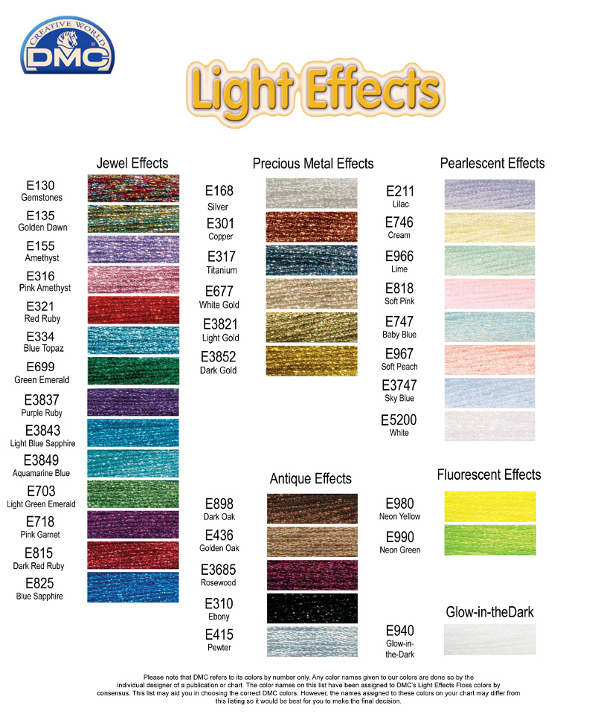 DMC Light Effectsnow available! $3.00 per skein. Add a subtle highlight to stitching by combining one strand ofStranded Cottonwith one strand of Light Effects. Or for a more vibrant look, substitute Light Effects for its matching shade in Stranded Cotton.